I have always wanted to try Balthazar Restaurant, situated in the heart of SoHo and I finally had the chance this past week. 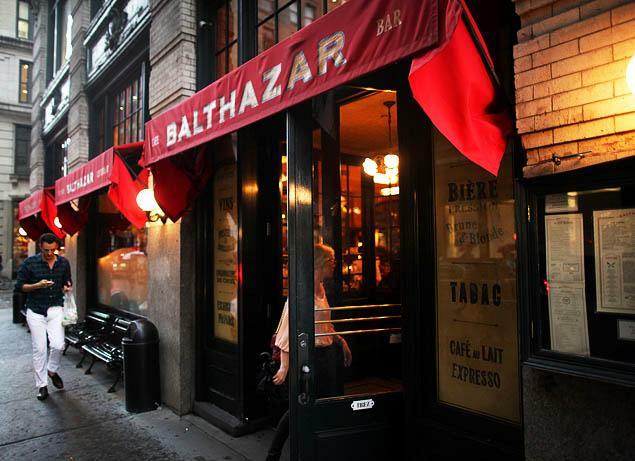 Balthazar has a lovely airy interior, albeit a bit crowded and the feeling of bustling energy. It is quintessential New York: a chic, stylish, gorgeous, insomniac of a bouchon with substance. 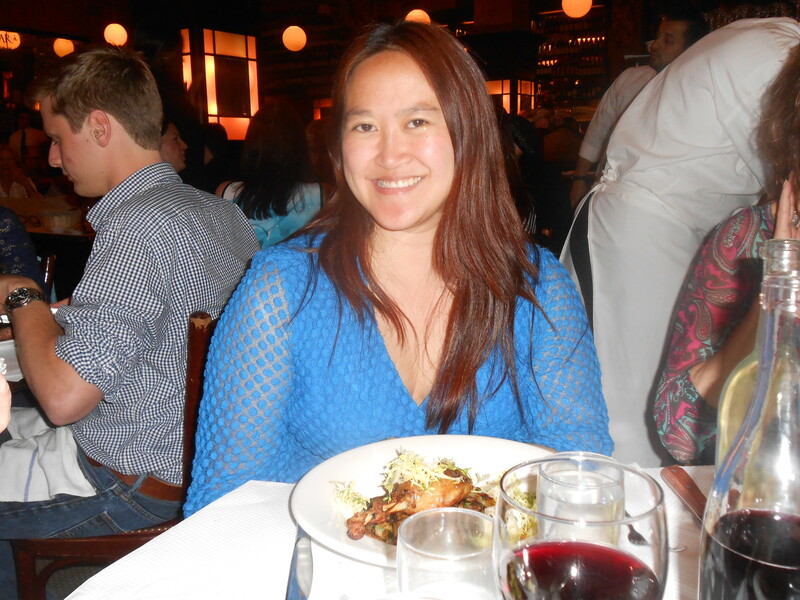 Balthazar has a wonderful French menu, and I was having trouble deciding between the organic salmon or duck confit. However, when the waiter suggested duck confit (which was the less expensive of the two), I took his word for it and it turned out to be an excellent choice. The duck confi was delectable from the very first bite… I’m talking melt in your mouth delicious! Tender and juicy, also seasoned well, the skin perfectly crispy and the accompanying Yukon Gold potatoes, cipollini onions, wild mushrooms complimented the dish well. The vegetables were simply wonderfully tasty, especially sauteed in the juices of the duck. There was also frisée salad which was a little superfluous, as it didn’t add much flavor but slightly balanced out the extremely rich, full flavor of everything else. For dessert, I chose the Warm Vanilla Bread Pudding, which came with butterscotch sauce and maple walnut ice cream. 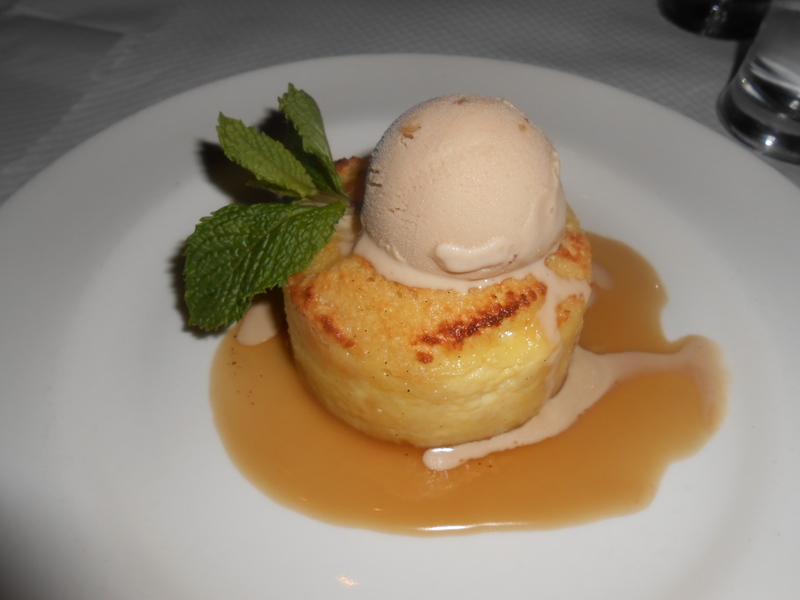 The bread pudding wasn’t what I expected; it was a lighter version and the vanilla was very slight. It was a little on the bland side, and the butterscotch sauce was a tad too sweet but gave the bread pudding more flavor. The maple walnut also did not impress, as I expected more maple + walnut. However, it was at least delightfully moist and spongy. 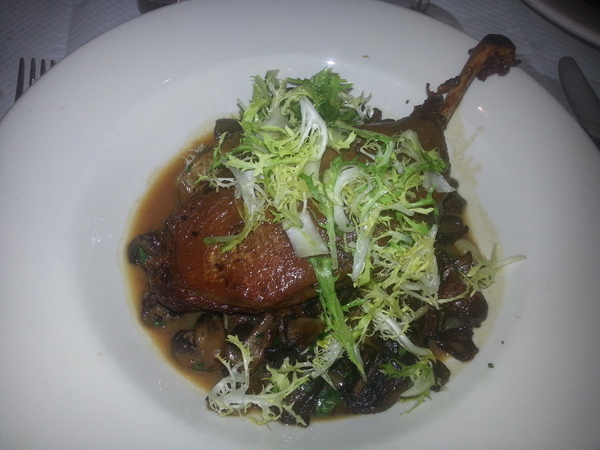 Even though the dessert was just mediocre, the duck confit more than made up for, as did the attentive service. Location: 80 Spring Street, NYC.